There’s no better way to spend a weekend than in the workshop transforming pieces of wood into masterpieces. It’s a satisfying feeling, seeing your handiwork throughout your home. From benches to bookshelves, cabinets to coat racks, the options are endless. No matter what carpentry creation you’ve got your sights on, you’ll need to use a drop of wood glue at some stage. We’ve put together a few useful tips to ensure your next woodworking project is a success. Before you start your woodworking project, make sure you have the right glue for the job. Don’t be swayed by a multipurpose adhesive claiming to work well on a variety of materials, wood included. Instead, opt for a dedicated wood glue – Royal has three options available; Cold Glue, Quickset, and Ultimate. Royal’s Cold Glue is the ideal choice for general applications, with its unique low VOC formula it’s one of your greenest wood glues of choice. While Quickset is a time-saving alternative, with its fast setting times. And lastly, Ultimate, which is a premium Water Resistant D3 wood glue suitable for both interior and exterior applications. A good woodworking project requires many stages – gluing, sanding, varnishing, staining. In some cases, it makes sense to complete each section of your project before the final assembly. Not only does this save time but allows you to achieve a high-quality finish. The only thing you need to remember is to keep your joints clear. Glue won’t adhere as well to varnish or stain, weakening the bond. To ensure a strong glue joint, use masking tape to cover the surfaces requiring adhesive. The masking tape protects the joining area while you apply the finish, and it’s easy to remove when you’re ready to glue. Choose a no-bleed tape if you’re using water-based products. When applying your wood glue, it’s wise to use a suitable applicator. For intricate joints, a flux brush works wonders. It allows you to reach into the nooks and crannies. If you’re gluing a large surface, opt for a plastic notched spreader. These are ideal for creating an even spread across your joining surface. Handy tip: Don’t have a plastic spreader on hand? An expired credit card will do the trick. If you’ve tried your hand at a spot of woodworking in the past, you’ll know the struggle of lining up your boards. Wood glue makes the surface slippery, which can lead to movement when applying the clamps. The easiest way to ensure your boards stay in place while bonding is to tack them together before clamping. The pinned section can either be removed afterwards or filled in – no one will ever know. There are a variety of clamps you can use to hold your woodworking project in place while bonding. If you’re using steel bar clamps, you’ll notice your wood rests directly on the pipe. Glue oozing out of the cracks comes in direct contact with the bar and reacts with the metal, leaving a dark stain on the wood. Don’t worry. Stains are easy to avoid. Before clamping your wood, lay a sheet of wax paper over the bars. Not only will this prevent the glue coming into contact with the metal, but it will also save your work surface from drips. It’s a win-win. It’s unavoidable. The excess adhesive will seep through the cracks during clamping. There are plenty of ways to remove this unwanted glue. Some recommend you deal with the glue immediately by wiping it off with a damp cloth. Others will insist you wait until it has dried completely before scraping off. One of the best methods lies in the middle. Wait for the glue to turn to gel – halfway between liquid and fully cured. In this state, the excess is easy to shave off with a sharp chisel without making a mess. Did you know that you can determine whether you’ve used the right amount of glue by looking at the excess? A continuous line of a small glue beads is perfect. No excess means you haven’t used enough glue, which results in a weak joint. If you’ve used too much wood glue, you’ll have a mess of squeeze-out to mop up. You should make sure all the excess adhesive has been removed before finishing your woodworking project. 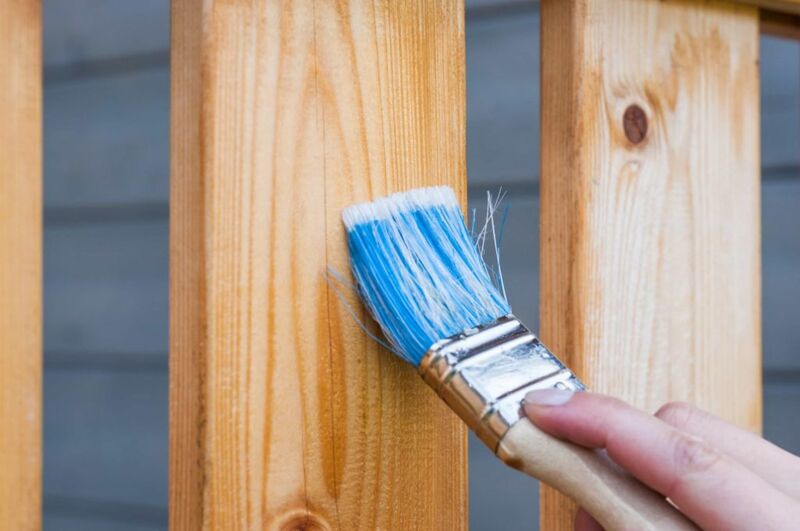 Stain or finish will highlight any missed glue spots, ruining the quality of your final product. There’s an easy way to check for hidden specks of glue. Using warm water, spray a fine mist around your joints. The water will make the glue visible and soften it for easy removal. Are you ready to get stuck in your next woodworking project? With these handy hacks up your sleeve and a bottle of Royal’s Wood Glue, you’ve got everything you need. Contact adhesive: How temperature can affect adhesion? Polychloroprene Rubber: Global constraints affecting industry?